Happy first week of September! Has it started to cool down and turn into autumn yet where you are? This week had a couple days where I had to break out my first jacket in a long time! It’s mainly still warm though and very pleasant. Let me tell you about my week! Last Tuesday was an interesting day. We had almost all of our appointments fall through, which was a bummer. We ended up tracting most of the night. I have officially had my first door slammed in my face! It’s amazed me how long it has actually taken for this to happen. Sure, people have been rude or whatever, but this was the first door slam I’ve had. I take it as an accomplishment. 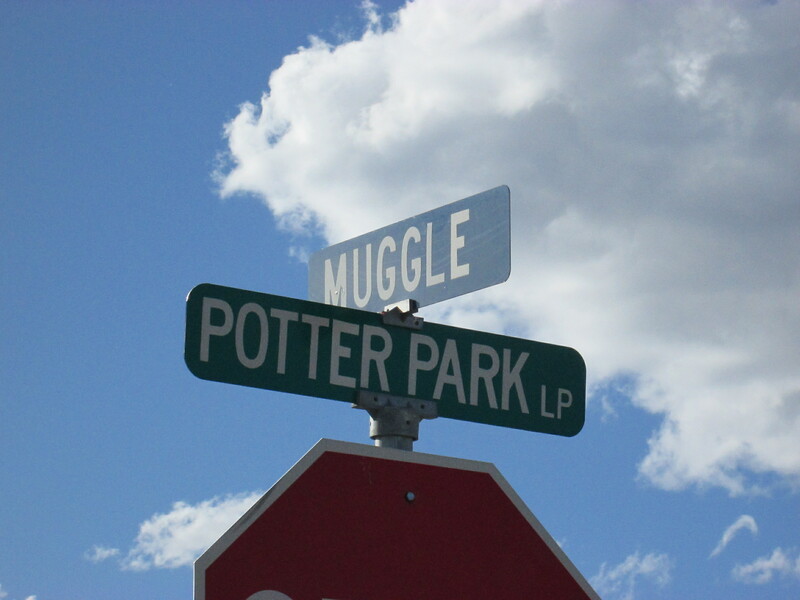 There is an entire neighborhood here in Missoula that is called “Potter Park” and all the streets are named after Harry Potter things. **Be Still My Heart** I was so happy when I saw it! And it’s in my area! We had district meeting on Wednesday morning, and we learned a lot about finding and teaching. We had to leave halfway through the meeting though so we could go get our oil changed before our trip to Billings. At 3pm, we all left Missoula and headed for Billings for the temple the next day. We had awesome members driving two 15 passenger vans, and then my companion and I and another set of sisters rode in our car. It was a 6 hour total trip. We stopped briefly in Bozeman (yeah!) for dinner and a stretch. We passed the car ride with lots of singing and conversation and listening to talks. 🙂 We rolled in to Billings around 9:15pm and they divided us up to sleep at various member’s houses and other missionaries’ apartments. I even got to see my former companion in Billings briefly, which was fun! Thursday was the highlight of my week! 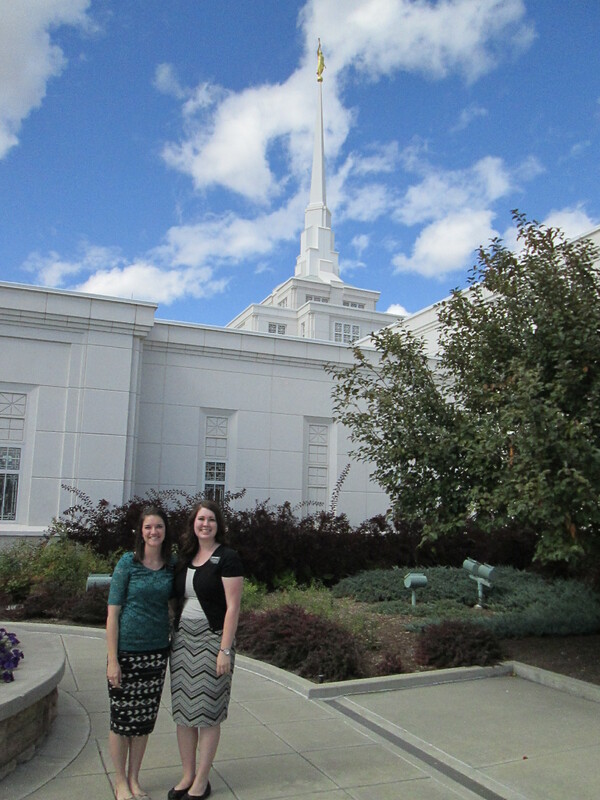 We got to go to the temple! 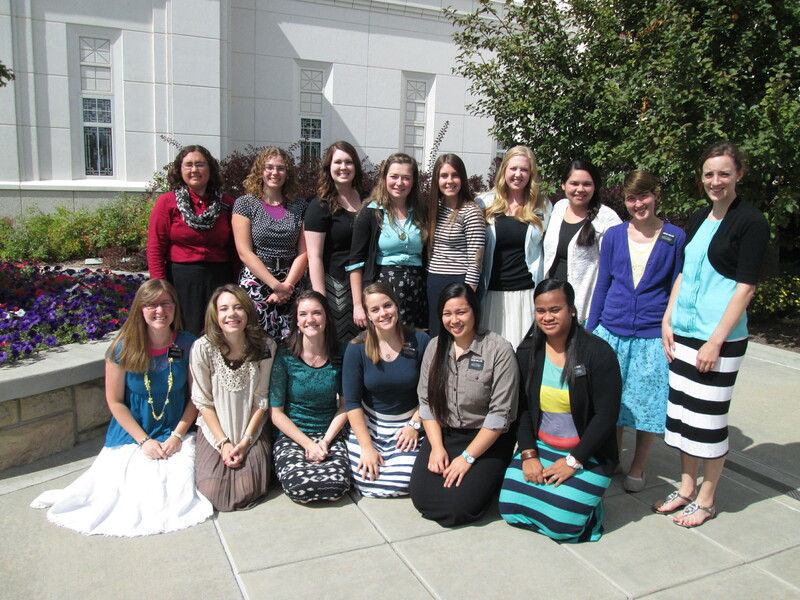 We all met at the temple at 8:30am and took a zone picture, then we went in and got changed. The temple president, Pres. Jordan, and the Mechams then gave us a special meeting in the chapel- it was awesome. Then Pres. Jordan took all the sisters on a special field trip to one of the sealing rooms and talked to us about being married around the altar and the importance. The tears started then and didn’t really stop until the end. I received some much needed revelation and comfort in the temple. 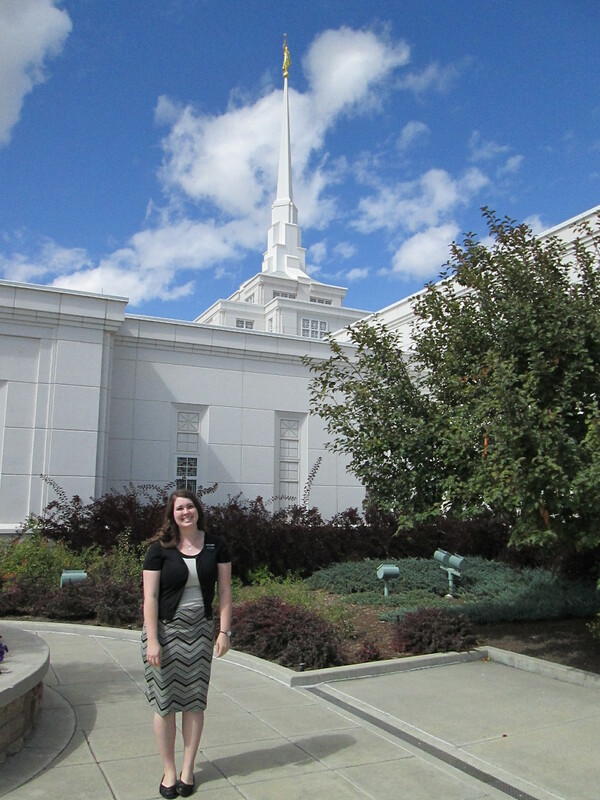 This experience in the temple has particularly increased my testimony of the temple. I know that it truly is the house of God, and it is where we can see ourselves most clearly the way that Heavenly Father sees us. After the temple, we all went to Golden Corral and ate way too much. Then it was on the road again by three! We got back to Missoula around 9 and came home and crashed. Friday was a fun day…. it was my birthday! Thank you all so much for your birthday notes and emails and gifts- you all rock! I realized that I am the first missionary in the “Hoggans” that has served at age 22. Yeah! We went to Friday Forum and learned about being strong through “spiritual whirlwinds”. Everyone sang me happy birthday very loudly afterwards- it was hilarious. Sister Gold had previously told our dinner appointment that it was my birthday, so they threw me a little party! So kind! Bro. Kershaw served his mission in Oklahoma in the early 2000s, and he totally remembers the Dinkels from when he was in Lawton, and he knows the Siharaths as well. Small world! On Saturday, we made cookie dough over our lunch hour and ate it, and I killed like three bees in the house. #BeeSlayer. Sis. Mecham texted me and asked it I could put together a musical number for Tuesday’s zone conference, so I found some music for that and enlisted some fellow missionaries. We’re doing an arrangement called “Peace”, which is a medley of “Where can I turn for peace?” and “Be still my soul”. It’s really beautiful, but I’m just hoping it comes together in time! Prayers please! Our investigator S is really struggling right now. He feels like he’s not getting answers to his prayers, which is really sad. We finally saw him Saturday night, and we’re really going to focus on him this next week. Sunday was a pretty normal day. During one of our ward member’s testimonies, she talked about how she loves the prayers of children because they are so honest and personal. She told how she heard a four year old say once, “Thank you for killing all the dinosaurs”, and she initially laughed, but realized that she really WAS grateful that there weren’t anymore dinosaurs around! Pretty funny. I love you all soooo much!! Thank you for all you do. 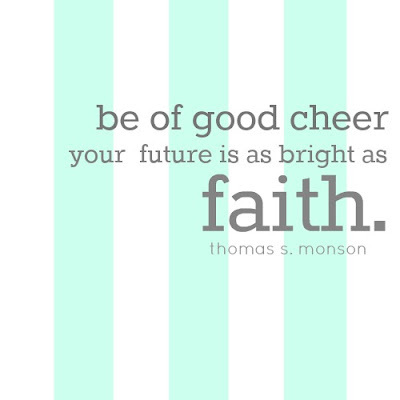 Did anyone else just realize that general conference is right around the corner? Boo-yah! I’m excited. Talk to you next week!